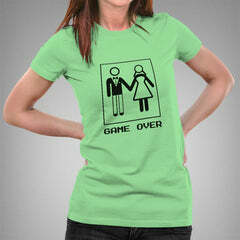 Game over, after marriage funny T-shirt. It is said that a man is incomplete until he ties the knot. Then he's finished.